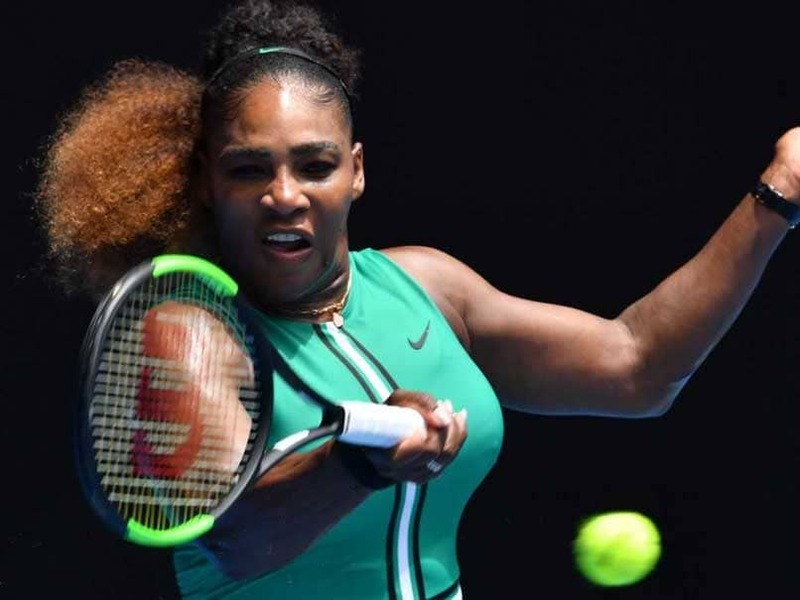 A focused Serena Williams sent an ominous Australian Open warning with a 49-minute first-round demolition on Tuesday and young gun Alexander Zverev comfortably began his tilt at a maiden Grand Slam title. The American giant is bidding to match Margaret Court's record of 24 Grand Slam crowns on her first return to Melbourne Park since winning in 2017 while eight weeks pregnant. Now 37, she kept a low profile in the lead-up to the opening major of the year and came out of the blocks flying against fellow mum Tatjana Maria, pummelling her German opponent 6-0, 6-2. "The last time I was here I was pregnant and playing at the same time which is insane," she said. "It's weird walking back on, by myself this time, it feels good. I have so many memories from last time I was here." Bidding for an eighth Melbourne Park crown, few are betting against Williams despite her lowly seeding and she next faces Canadian Eugenie Bouchard who eased past China's Peng Shuai. 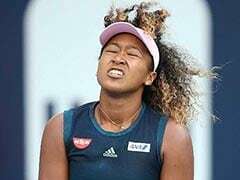 Japan's Osaka, seeded four, begins her campaign in the night match on Rod Laver Arena against Poland's Magda Linette following Novak Djokovic's first outing. Sixth seed Karolina Pliskova easily progressed, as did Williams' sister Venus, who incredibly played her first Grand Slam tournament 22 years ago. Unseeded, she booked a place in round two by beating 25th seed Mihaela Buzarnescu over three tough sets. Seventh seed Karolina Pliskova, who has made the quarter-finals in her last two appearances at Melbourne Park, also went through, but 10th seed Darya Kasatkina slumped out to Switzerland's Timea Bacsinszky. American Madison Keys, who reached the semis at the French and US Open last year, as well as the quarters in Melbourne, ensured she too lived to fight another day, crushing local wildcard Destanee Aiava. 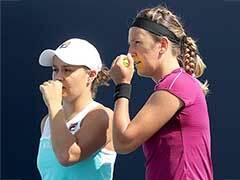 Last year's beaten finalist and world number one Simona Halep plays Kaia Kanepi later. Like Williams, men's world number one Djokovic is also gunning for a piece of history as he looks to win a record seventh Australian Open title. 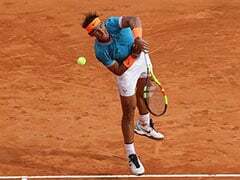 Fourth seed Zverev, who is looking to win his first Slam title and establish himself as a serious threat to Djokovic, Roger Federer and Rafael Nadal, cruised past Aljaz Bedene 6-4, 6-1, 6-4. "I've had about 86 injuries and the ankle is still a bit swollen," said the 21-year-old. "But I've done everything right in my preparation. Now I either play well or I don't." 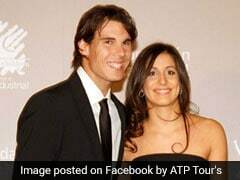 "I was trying to play but he was playing amazing tennis. 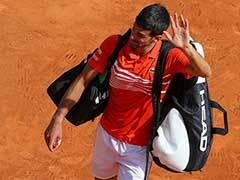 I have to be happy that I didn't lose today," said a relieved Nishikori, who next faces Croat Ivo Karlovic. 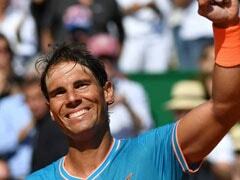 Elsewhere, 12th seeded Italian Fabio Fognini beat Spain's Jaume Munar, who retired with cramps while two sets down. The 2014 champion Stan Wawrinka also benefited from an opponent pulling out, with Ernests Gulbis calling it quits after hurting his back in the second set. South Korea's Chung Hyeon, a giantkiller last year when he beat Zverev and Djokovic on the way to the semi-finals, demonstrated his fighting qualities again, coming from two sets down to beat American Bradley Klahn.